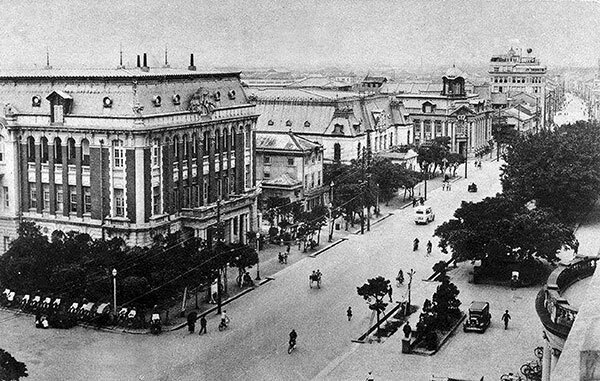 In the 1930s, the Japanese colonial authorities had completed the infrastructure necessary for turning Taiwan into the “agricultural production base of Japan.” Not only were the census and land survey finished in this decade, but major transportation infrastructure (such as the West Coast railway line connecting Keeling to Kaohsiung, construction of ports, and arrangement of shipping routes between Taiwan and the Japanese mainland) also accelerated circulation of Japanese products and Taiwanese commodities and set a sound foundation for economic development. The building of the Kanan Irrigation System and the Sun Moon Lake Hydraulic Power Plant was also finished in this decade, enhancing agricultural production, and providing abundant and cheap electricity for new industrial development. 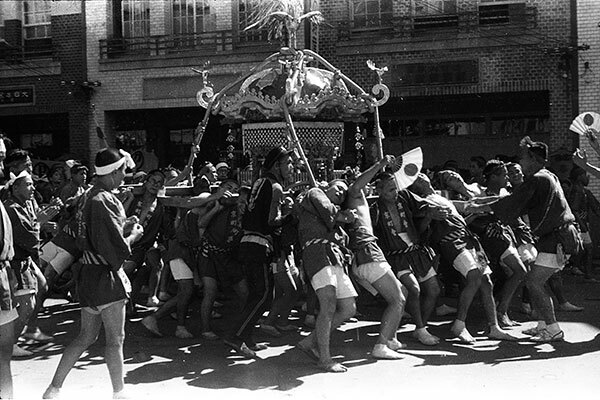 The overall social order of Taiwan became more stable than in the early years of Japanese colonization. 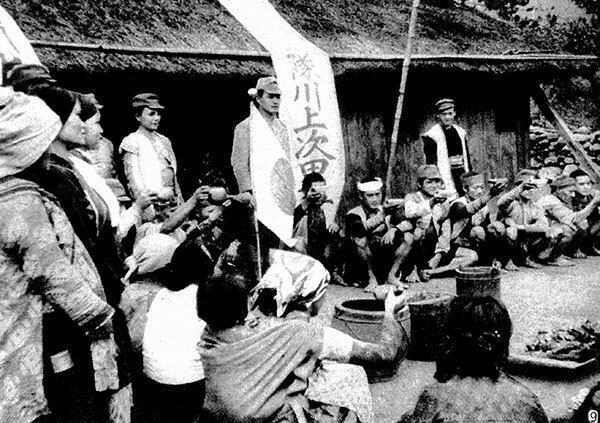 After the Japanese authorities’ fierce suppression of the aboriginal insurrection in the Musha Incident and after left-wing organizations were purged, large-scale anti-Japanese armed uprisings became almost non-existent in Taiwan. 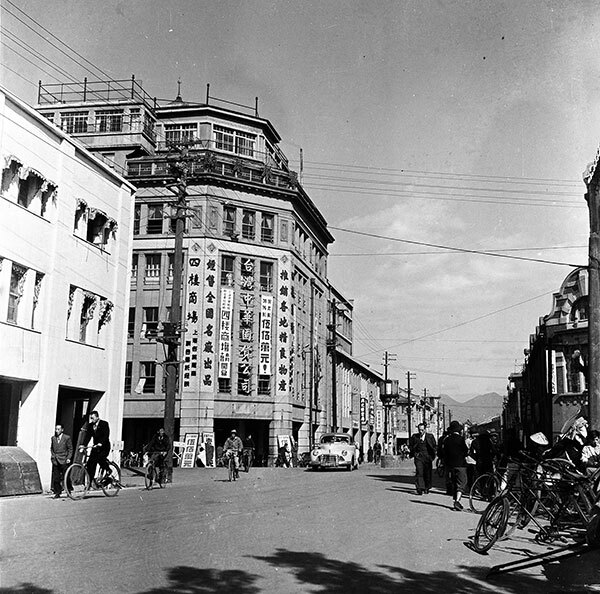 During this decade, spacious urban design and streets bustling with people, shops and department stores characterized Taiwanese cities. 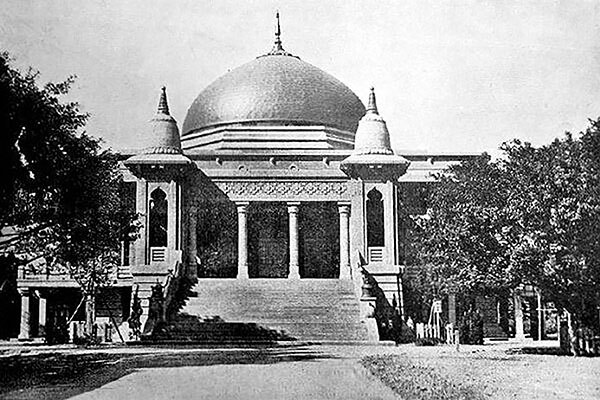 The Taihoku City Public Auditorium (the current Zhongshan Hall), the Taiwan Governor Museum (the current National Taiwan Museum) and Taihoku New Park (the current 228 Peace Memorial Park) were set up one after another in this period, providing new locations for public assemblies, events, and leisure activities. 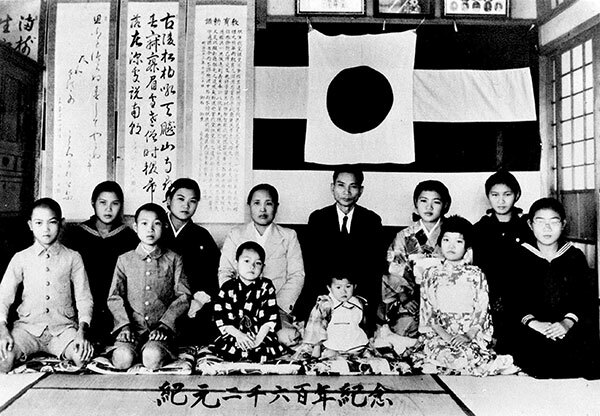 The Japanization movement was also launched in this period to implement a series of policies, such as promoting the National Language Campaign, encouraging locals to adopt Japanese names, and reforming religion and customs, so that the Japanese identity and support for Japanese rule could be enhanced. 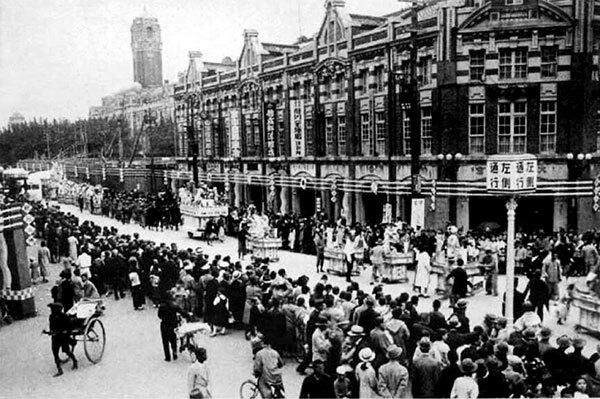 During the Japanese colonial rule, many new ideas and things were introduced to Taiwan, resulting in prosperous growth of cultural activities. 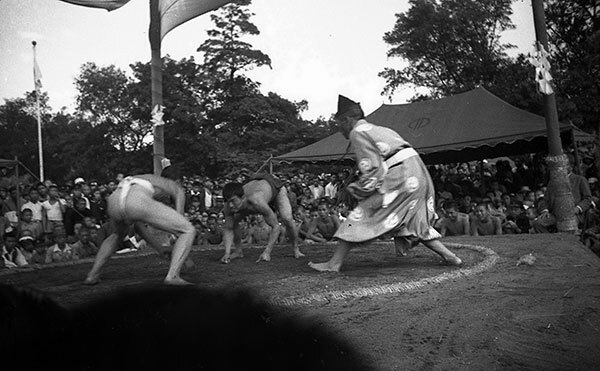 Leisure activities like festivals, baseball, sumo wrestling, and horse racing began to blossom. In addition, the Taiwan Governor’s Office proposed the idea of “useful education” at Japan’s Imperial Education Association, encouraging the development of art and music education in Taiwan. 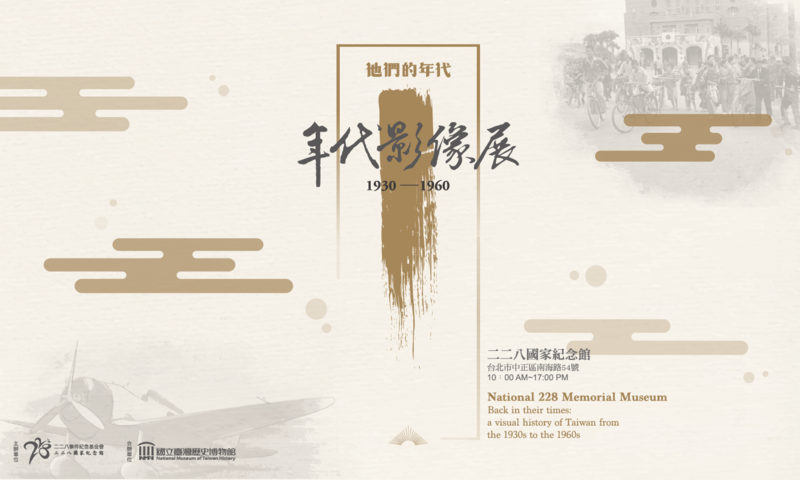 From then on, a variety of cultural activities and organizations, such as the Taiwan Fine Art Exhibition, Tai Yang Art Exhibition, and Taiwanese Cultural and Art Alliance, sprang up one after another. Many Taiwanese artists and writers were also performing outstandingly in Taiwan and Japan at this time. 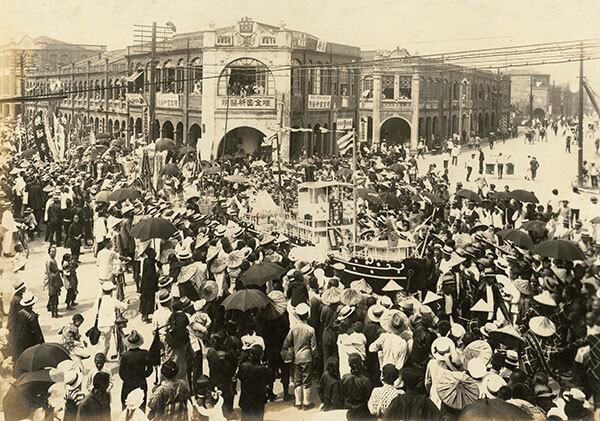 In 1935, the Taiwan Governor’s Office co-hosted with local elites and businesspeople the Taiwan Exposition: In Commemoration of the First 40 Years of Colonial Rule to showcase all the achievements of the Japanese colonial authority during its 40 years of governance in Taiwan. The Taiwan Governor’s Office hoped to use Taiwan as a successful model for its colonial administration to demonstrate Japan’s excellent capability in managing its colony, and to attract investment from the Japanese mainland and overseas. 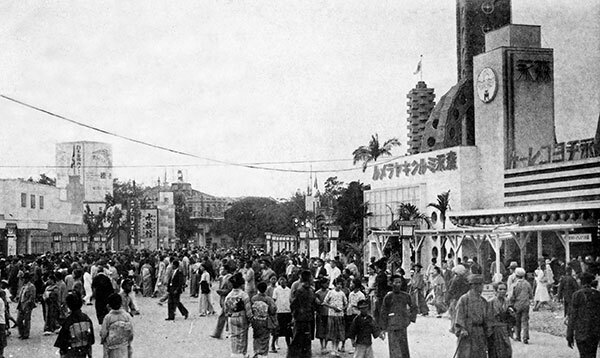 The Taiwan Exposition’s main exhibition areas were all in Taihoku City. 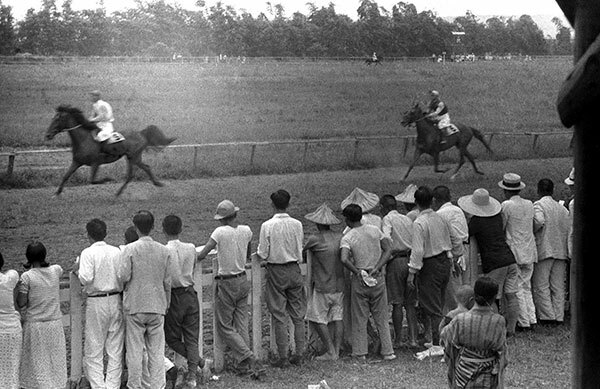 Local venues were also set up in other cities and counties. 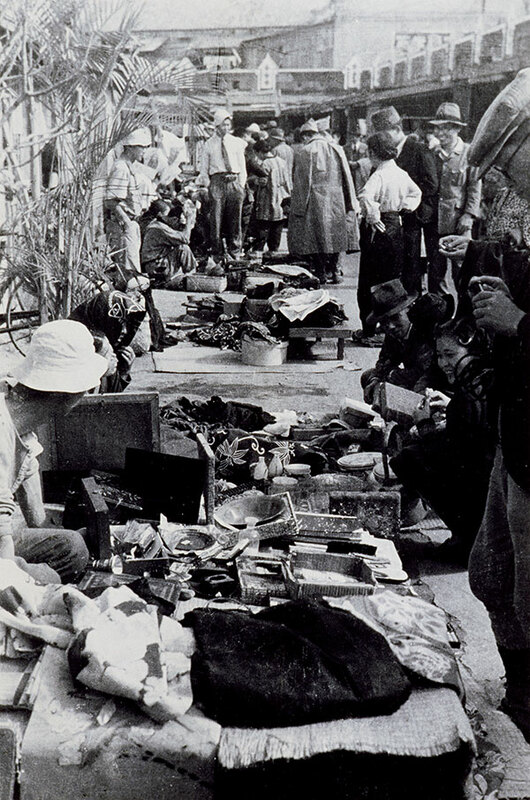 There were three large and one small exhibition areas in Taihoku City. 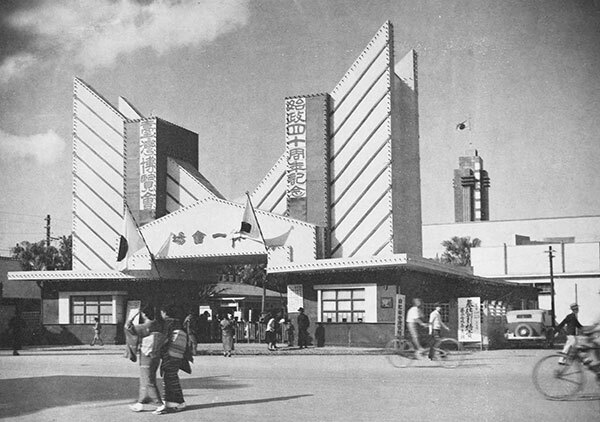 The first exhibition area, which took up 4.29 hectares, was set up around the Taihoku City Public Auditorium with pavilions demonstrating Taiwanese industries (including civil engineering, transportation, sugar, mining, and forestry) and showcasing Manchuria and Korea. 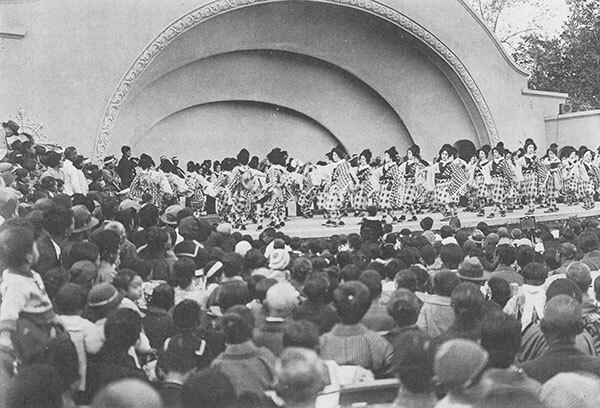 The second exhibition area, which took up 7.93 hectares, was set up in Taihoku New Park, displaying the social and cultural development in Taiwan under Japanese colonization and introducing the mainland of Japan. In the third exhibition area set up at the Kusayama (today’s Yangmingshan) Hot Spring, a tourism pavilion was put up to promote the key sightseeing facilities in Taiwan. 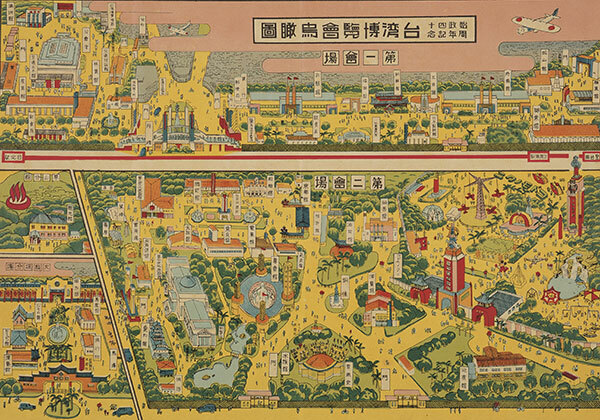 The 1.3-hectare-large exhibition area in Daitotei (Twatutia) was full of the atmosphere of the “South Seas,” displaying the current development of and future plan for Japan’s southward expansion policies. 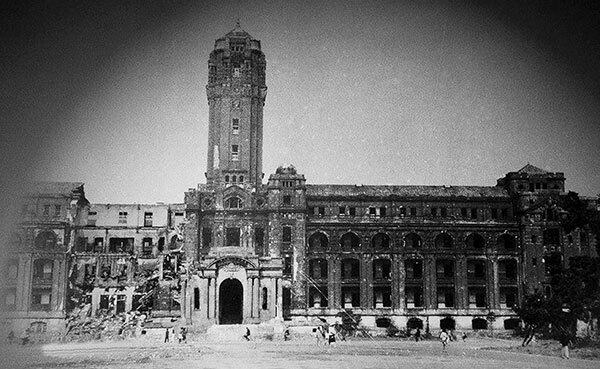 Even though Taiwan was not officially affected by the military conflict before the outbreak of the Pacific War in 1941, the government of Japan still regarded Taiwan as an extension of the Japanese mainland and was at that time already starting to demand Taiwanese people to prepare for war. 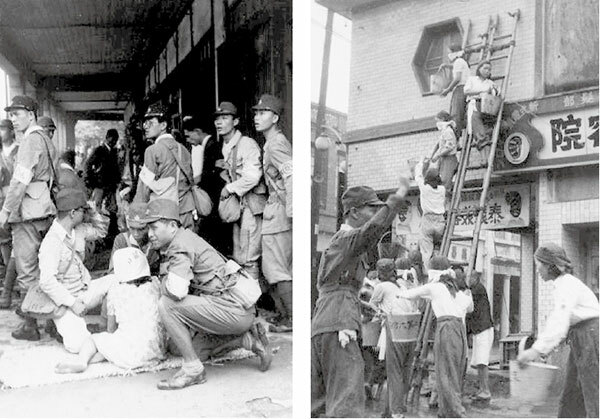 As the war escalated, people from schools and neighborhoods were mobilized regardless of their gender or age to participate in air defense drills and fire drills. 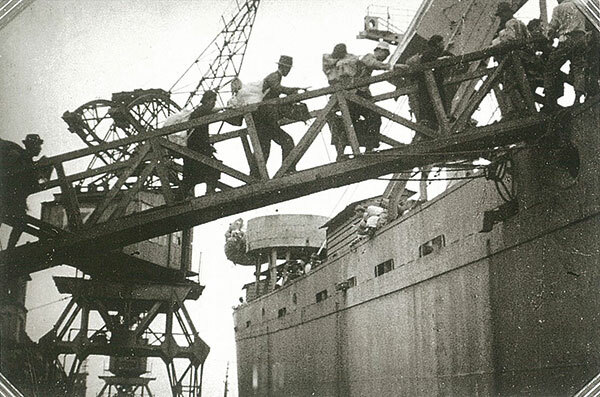 In response to future air raids, logistical supplies were collected, and Taiwanese people were conscripted to fight on the frontline. 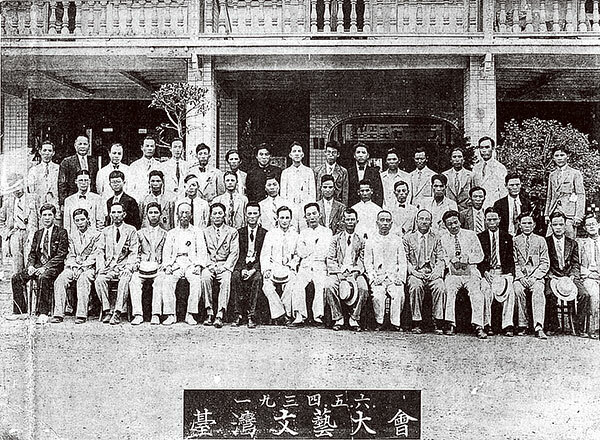 Taiwanese society had gradually fallen into the turbulence of warfare. 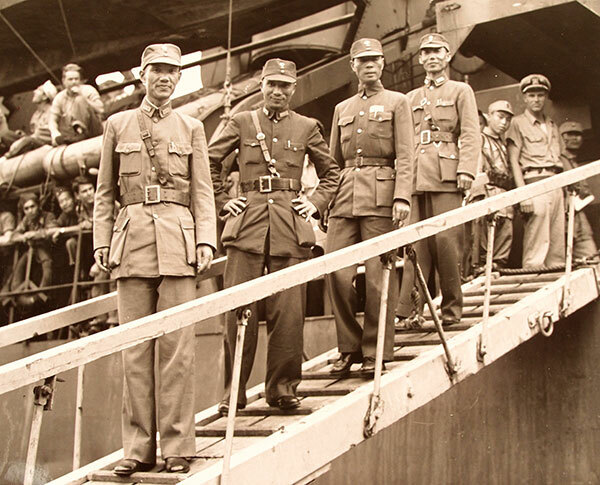 The Japanese government understood that as Taiwan played a crucial strategic role in facing military conflict, it definitely would be impacted if the Pacific War began. 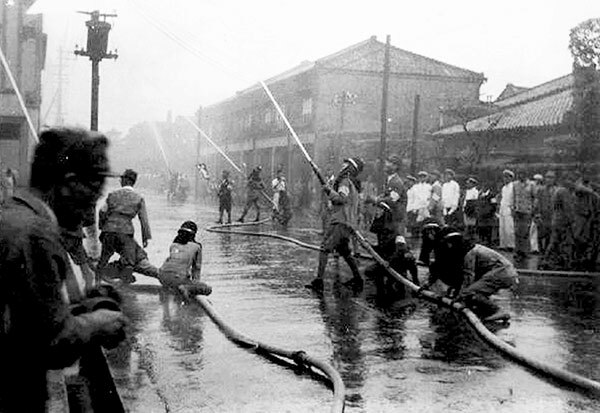 Therefore, firefighting groups were reformed into fire brigades, which combined the efforts of “neighborhood groups” (organized by members of local communities) to actively mobilize the strength of local communities to organize air defense drills and fire drills in preparation for possible air strikes in the future. 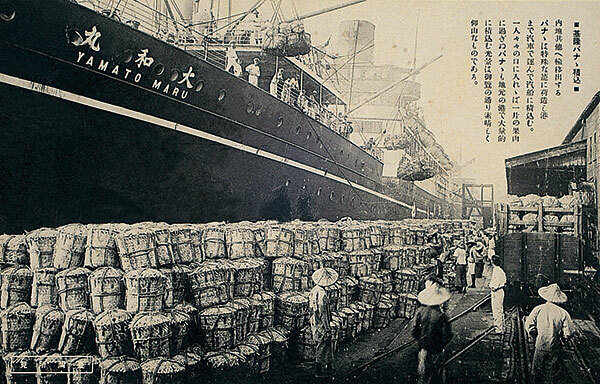 After the outbreak of the Sino-Japanese War, Japan sent troops of millions of soldiers overseas. 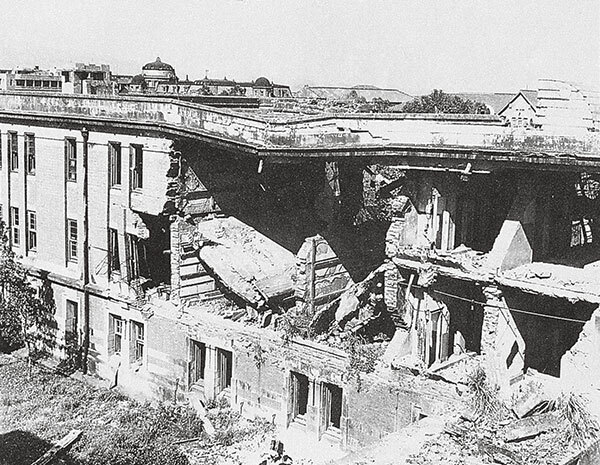 The military campaign was hugely costly. 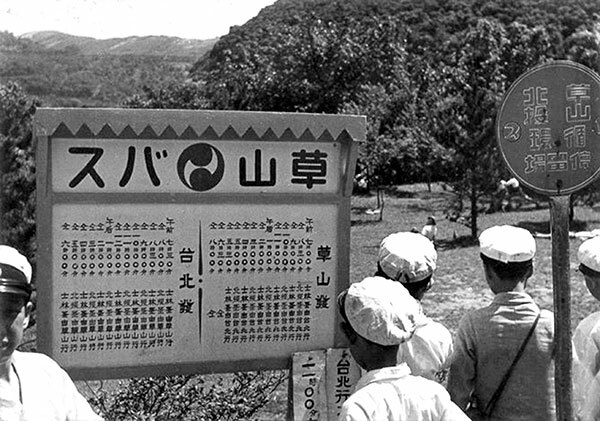 Because of this, the Japanese government promulgated the National General Mobilization Act, stipulating that all personnel and materials must be included in the state's administrative management and planning during the war. 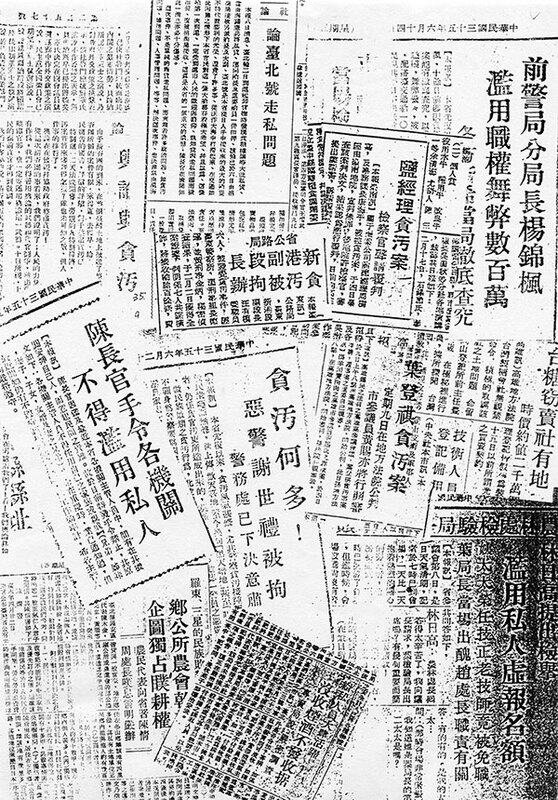 "Donation activities” were promoted in Taiwanese society under the influence of government propaganda and the social atmosphere. 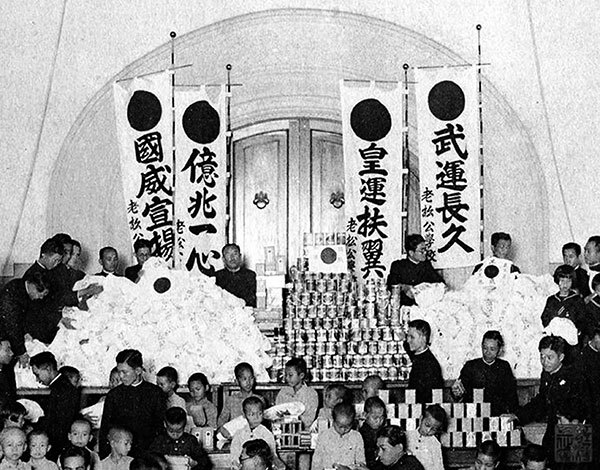 People provided financial support to the Japanese government for the construction of fighter jets and warships. Meanwhile, some local organizations also joined in with logistical assistance. 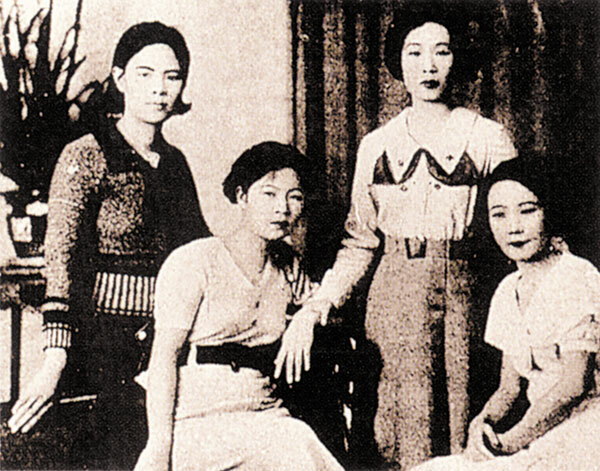 For example, the Taiwan branch of the Patriotic Women's Association not only supplied the Japanese government with resources for its military campaigns, but also provided food, clothes they had sewed, and bags full of things they had prepared to improve the morale of frontline soldiers. 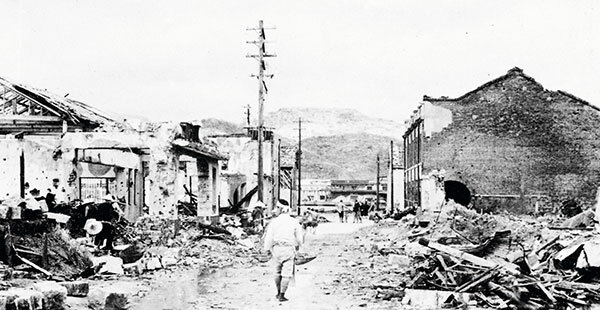 As the Allies launched a counter-attack, a combative awareness that a decisive battle would take place on the island permeated Taiwan, a territory that was treated as an extension of the Japanese mainland’s frontline. 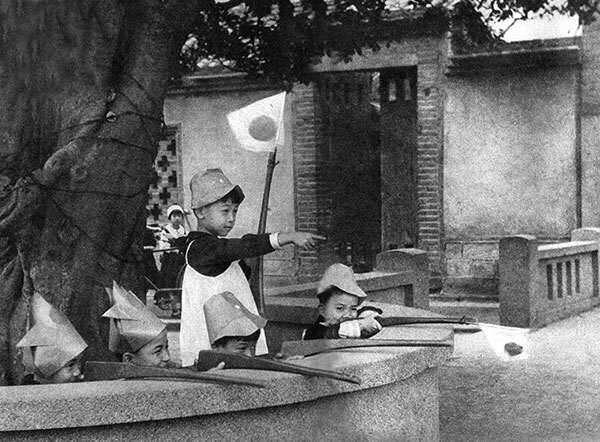 Not only did young adult men join the Youth League to take part in military exercises, but school education was also overhauled so that military-related subjects became compulsory and students started military training. After the legislation of the Volunteer Soldier Act, men and women across the country who were of suitable age were grouped into national guard troops. 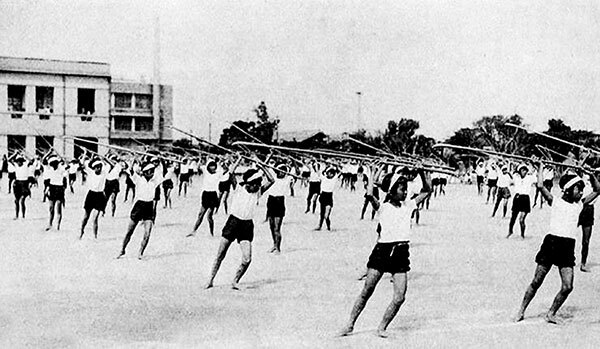 Women also needed to take up weapons and get ready for the war. 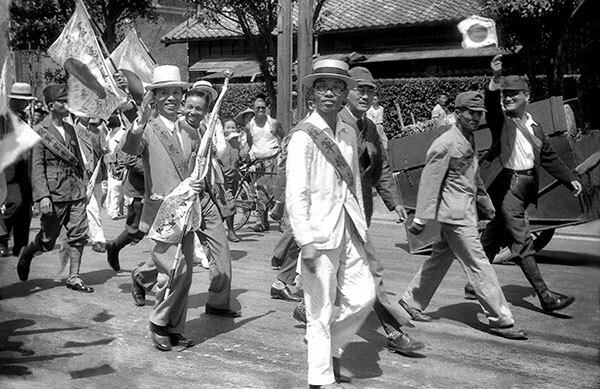 Under the influence of the Japanization movement and atmosphere of war, there were many times that Taiwanese people marched on the streets to celebrate the victories of the Japanese army. 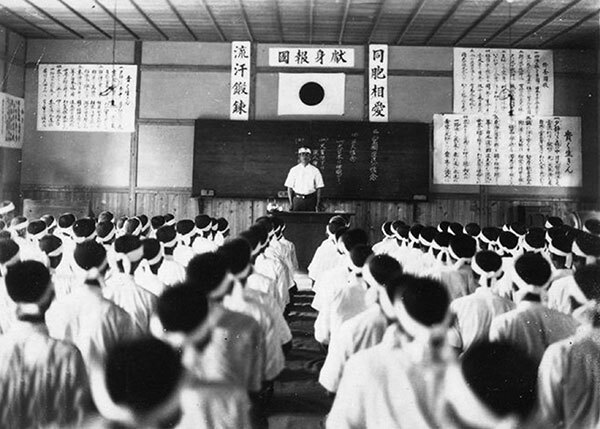 As the war intensified, the government of Japan needed to recruit supplementary troops. 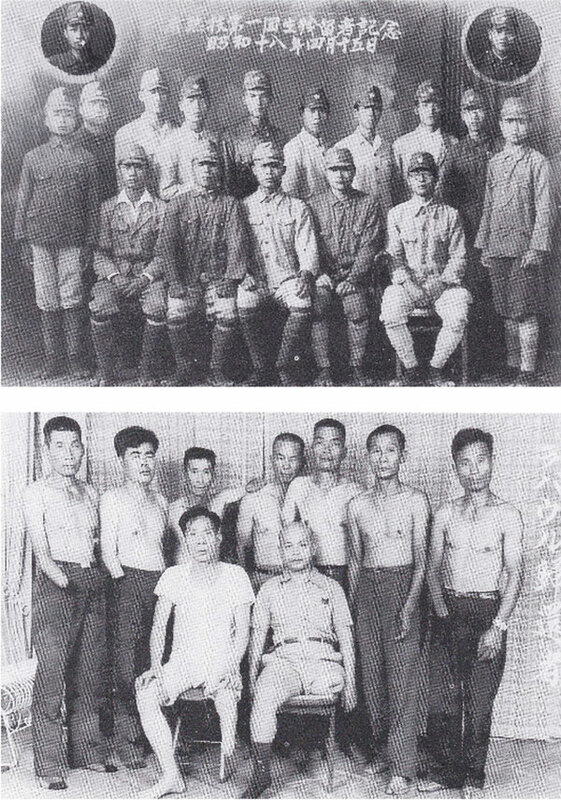 The recruitment of “special volunteer soldiers” and “special volunteer sailors” in Taiwan was thus launched in 1942. A great number of Taiwanese youths answered the recruitment call. In the final stage of war, universal conscription was also implemented. 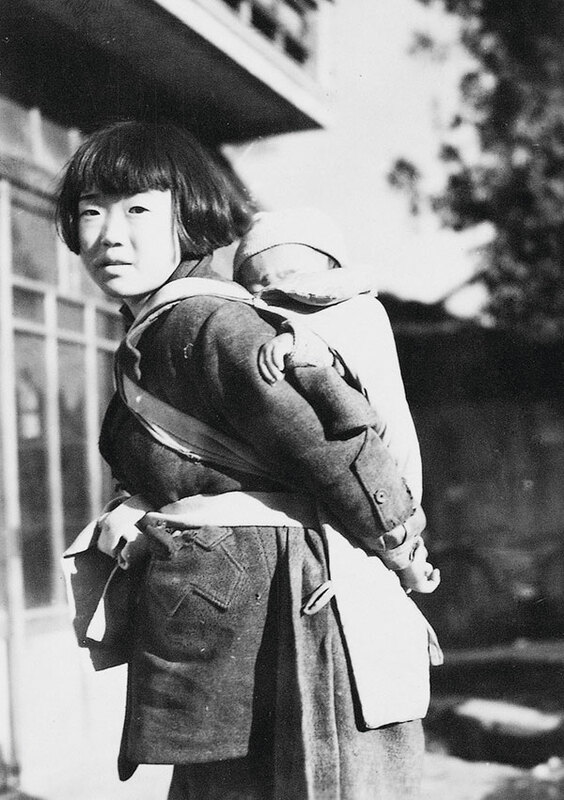 According to the Ministry of Welfare, before Japan was defeated, 207,183 people went to fight on the frontline, of which 30,304 people did not survive. 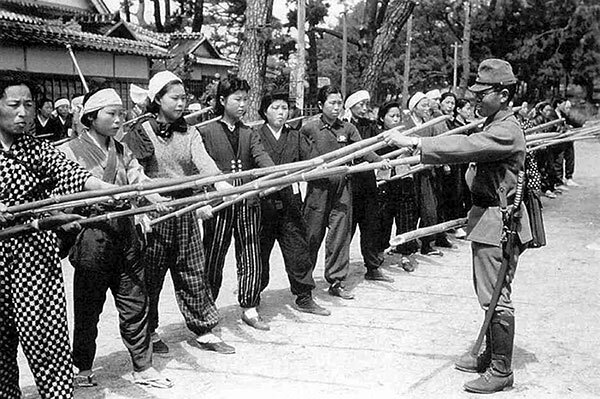 In the final stage of the war, the Imperial Japanese Army grouped the young Takasago people into special forces troops. Among these troops, the Kaoru Airborne Unit was a secret army stationed in Luzon that was subordinated to the Imperial General Headquarters. 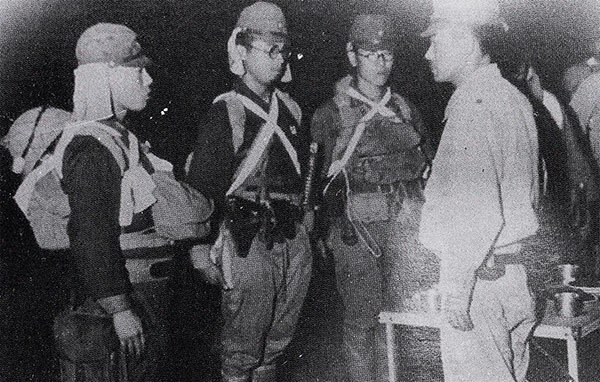 Members of the Kaoru Airborne Unit were special forces soldiers who, instead of using parachutes, used belly landings to perform suicide attacks. 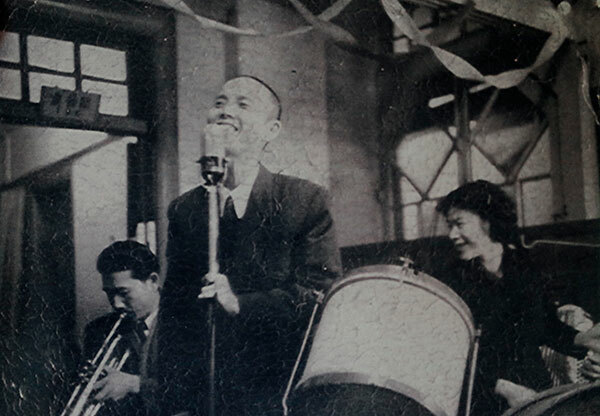 As the Pacific War approached, the entertainment world of Taiwanese popular songs was overshadowed by Japanese militarism and imperialist ideology. 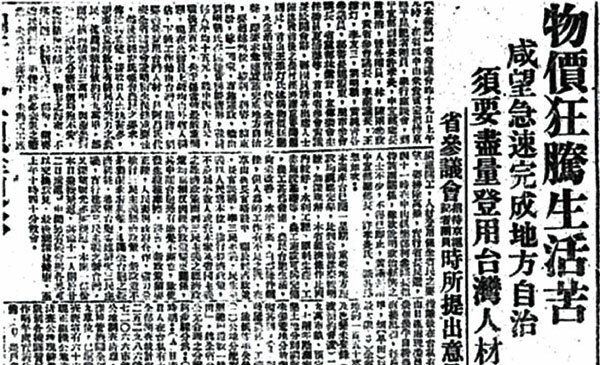 In order to publicize the “sacred war,” the Japanese colonial authorities started to replace the lyrics of some Taiwanese popular songs with militarist words. As the lyrics were converted from Taiwanese Hokkien into Japanese, the singers of these songs were also changed to Japanese ones. 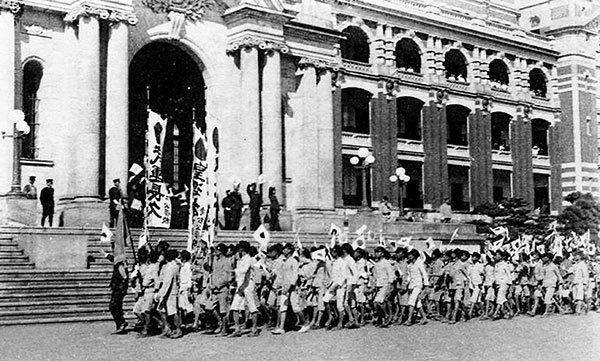 During this period, the Japanese government launched the Japanization movement in Taiwan. 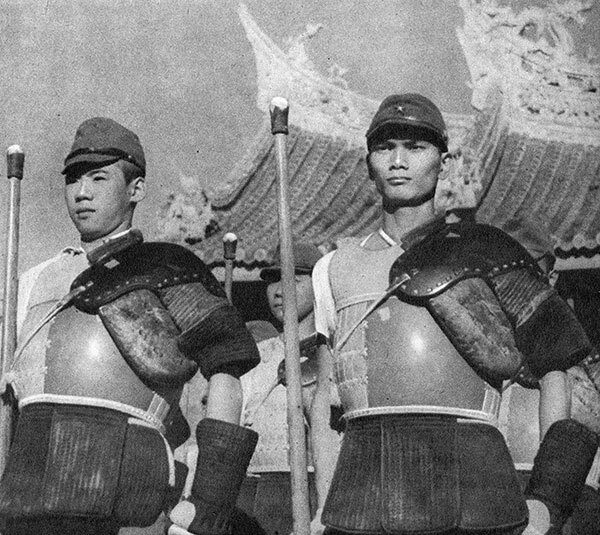 Following this, Teng Yu-hsien changed his name to Higashida Gyou and his Taiwanese songs “Bāng Chhun-hong,” “The Torment of a Flower,” and “Goa̍t-iā Chhiû” were adapted into the Japanese militarist anthems “The Mother Earth is Calling on You,” “Warrior of Honor,” and “The Wife of the Warrior.” These adapted songs were often sped up and their compositions infused with a strong sense of masculinity to match the ambitiousness and forcefulness in the new lyrics. Unexpectedly, after the adaption, the main listeners of these songs shifted from Taiwanese people to Japanese people. 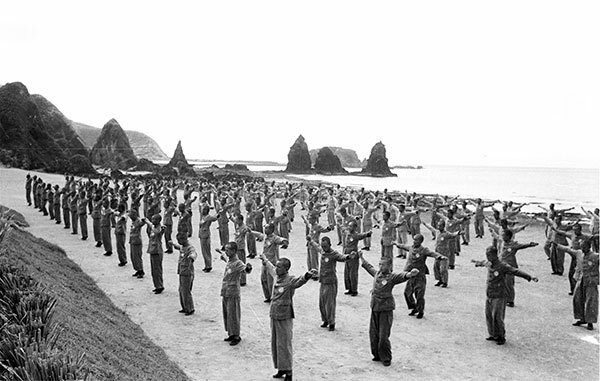 In the final stage of the Second World War, the Allies officially extended their frontline to Taiwan. 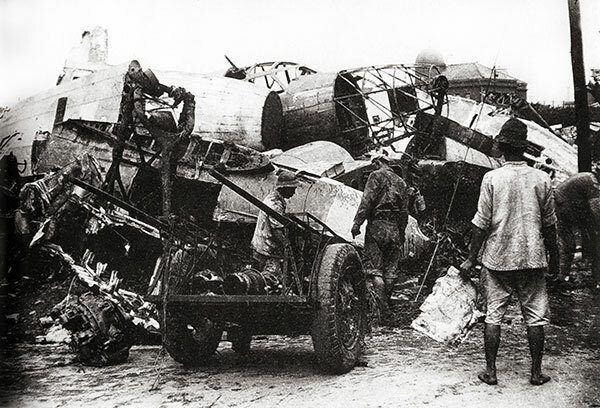 The Formosa Air Battle took place on October 12, 1944. 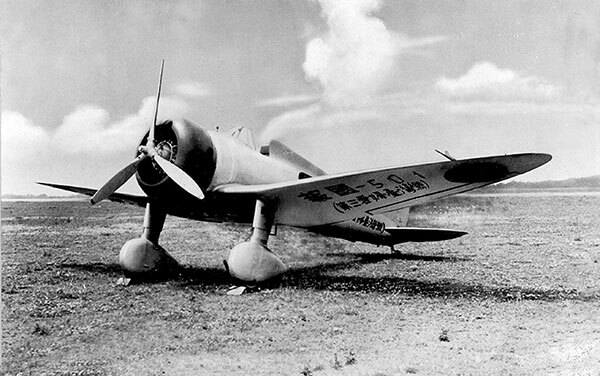 Within five days, 4,320 fierce aerial engagements between the US Navy and the Japanese Air Force broke out in the skies above the island. 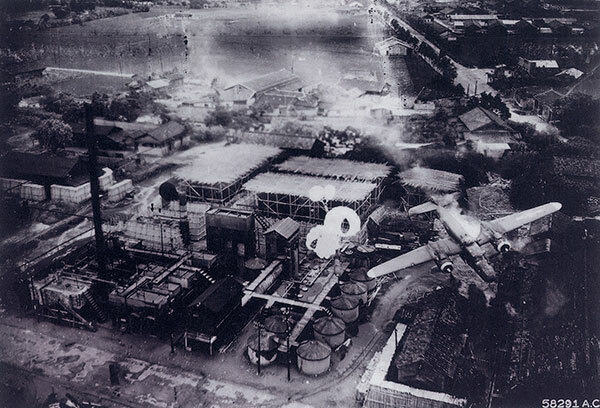 Later, the US Navy began a large-scale bombardment of various areas in Taiwan. 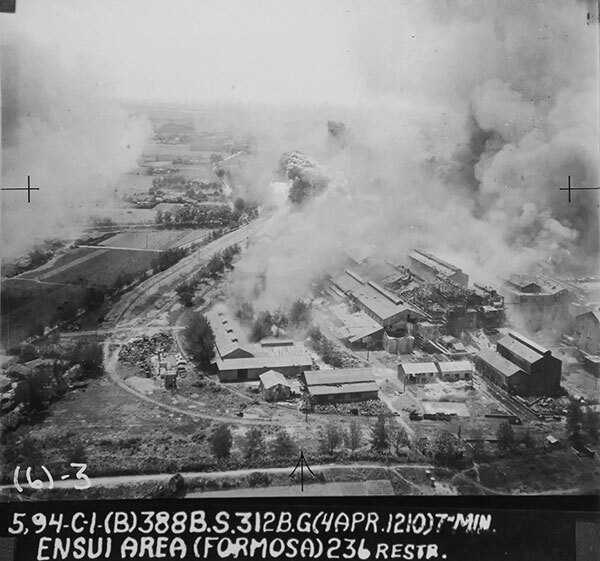 Such air raids continued to wreak havoc on Formosa until the end of the Second World War in 1945. 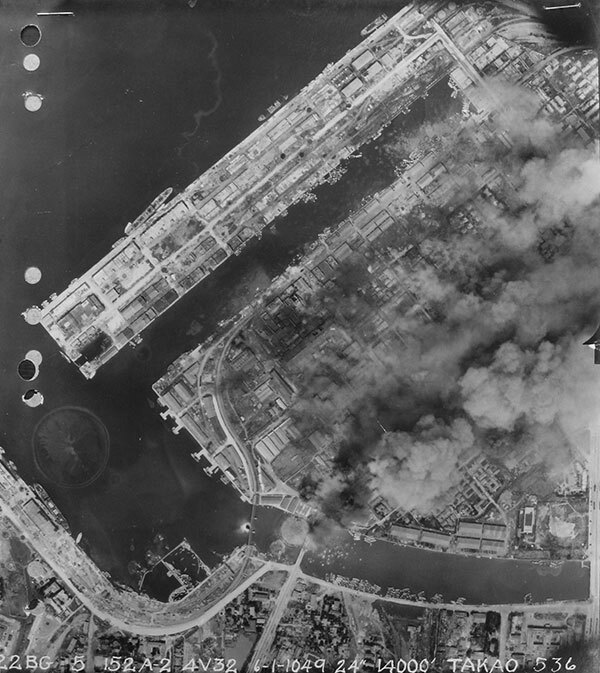 According to statistics compiled by the Police Department of the Taiwan Governor’s Office, 5,582 people died and 8,760 people were injured in air raids. 45,340 houses were ruined, leaving more than 300,000 people homeless. The actual numbers could be much larger than these figures. 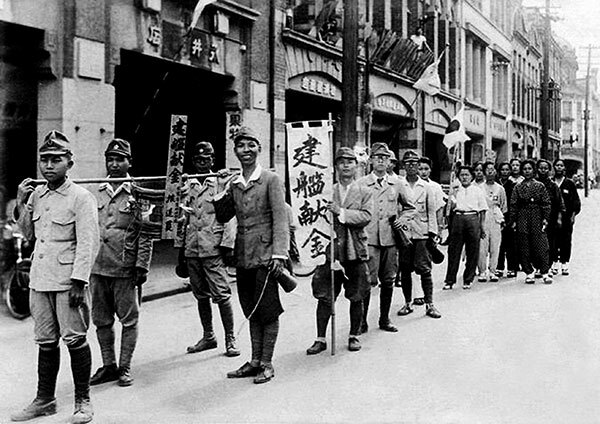 After the Second World War, Chen Yi and the Nationalist government’s army arrived in Taiwan to take over the Japanese colony. 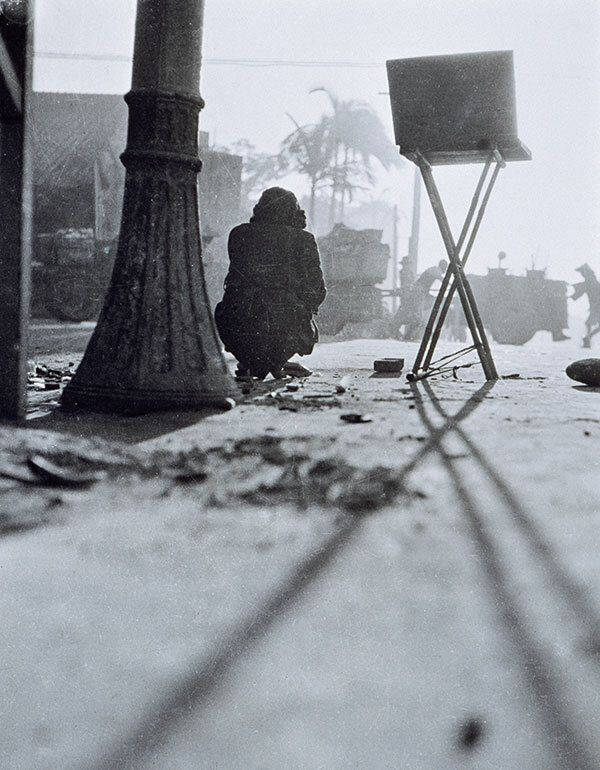 At this time, Taiwanese people who had already suffered the ravages of war were looking forward to a new chapter of life heralded by the arrival of a government from their “ancestral land.” However, the situation did not develop as Taiwanese people expected. 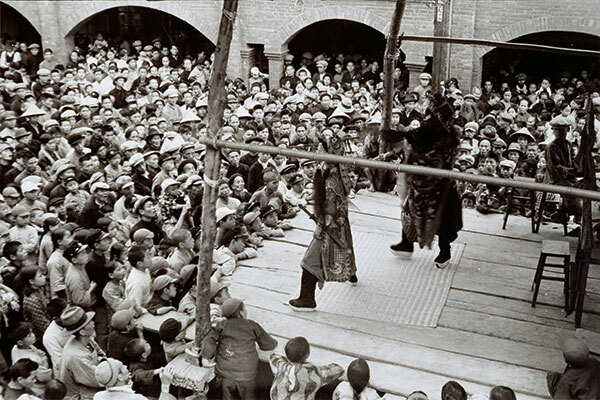 Under the administration of the Nationalist government’s army, Taiwan experienced ever-growing social conflict exacerbated by hyperinflation, cultural gaps, and the government’s lack of rule of law. 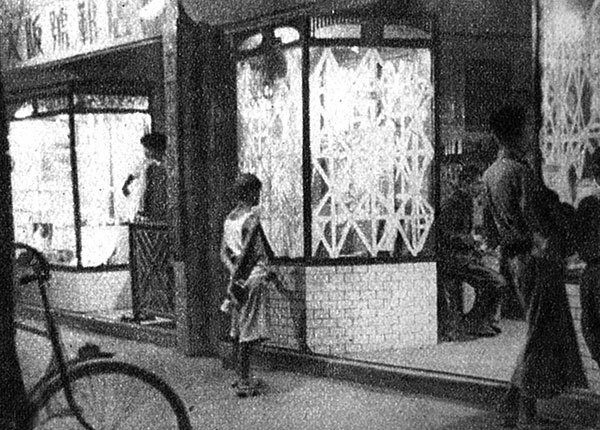 On February 27, 1947, an accident caused by the anti-contraband tobacco operation near the Tianma Tea House escalated to the outbreak of the February 28 Incident. 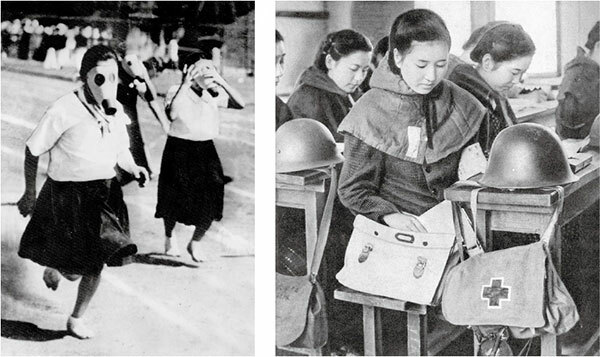 Later, in 1949, the Nationalist government relocated to Taiwan and declared martial law. In a time of turmoil and turbulence, Taiwanese society had turned a new page in its history. 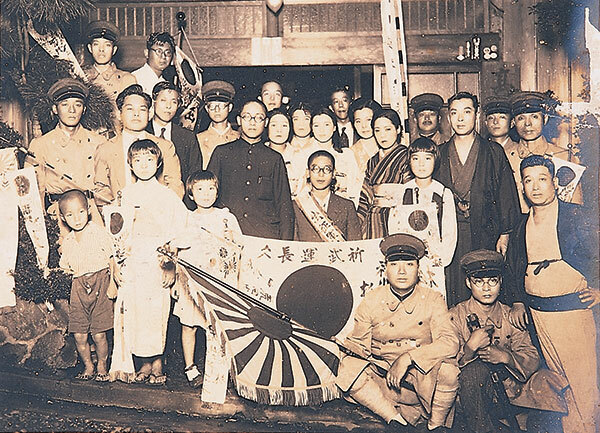 On August 15, 1945, Japan surrendered unconditionally to the Allies. 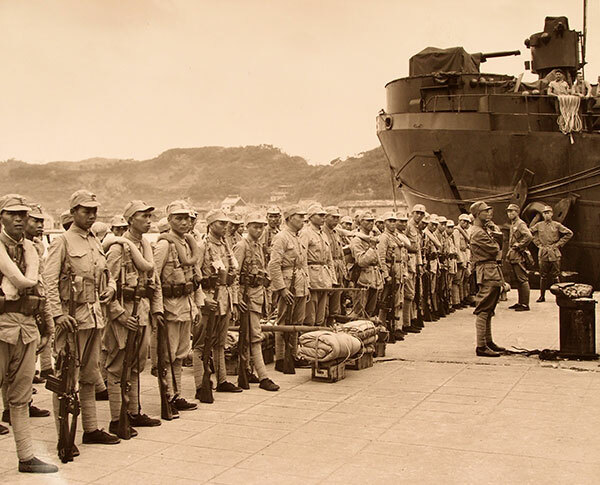 On October 17, the 70th Corps of the Nationalist government’s army landed in Formosa. 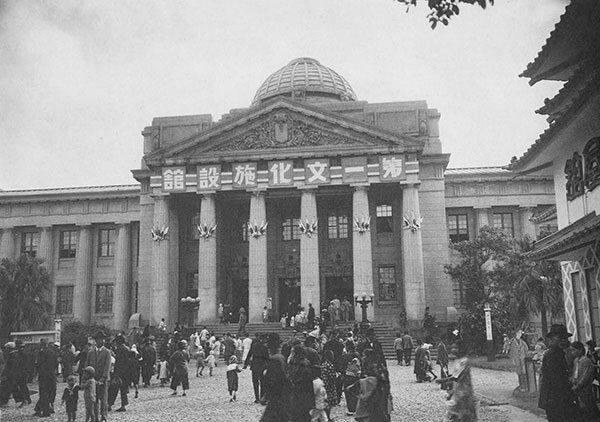 On October 25, the ceremony of Japan surrendering to the Commander in Chief of the Chinese Theater was held at the Taihoku City Public Auditorium (the current Zhongshan Hall). 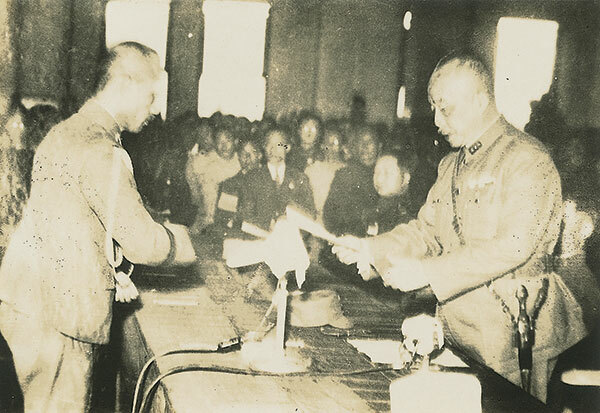 Ando Rikichi, the last Governor-General of Taiwan, signed an instrument of surrender and handed it over to Chen Yi, the Chief Executive of the Taiwan Provincial Administration. 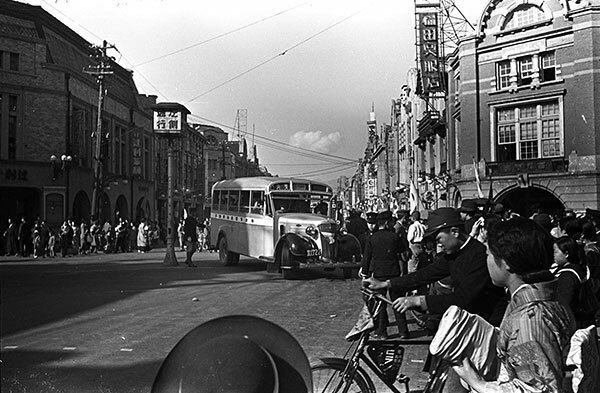 Taiwanese people accepted the official definition of the “Retrocession” and celebrated the arrival of the Nationalist government’s army, as they anticipated public order would soon resume after the end of the war. 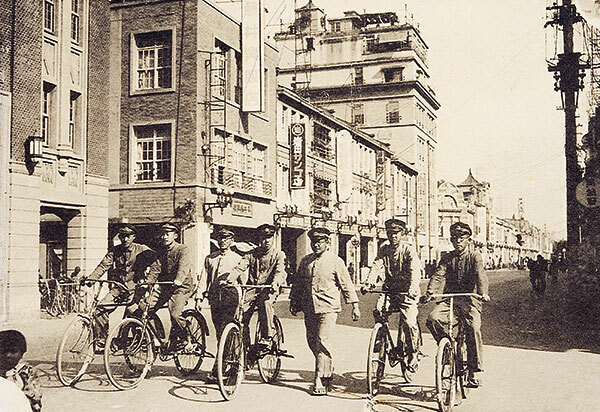 Having experienced prosperity during the Japanese colonial period, Taiwanese society greatly surpassed China in terms of achievements in industrial development, agriculture, and education. 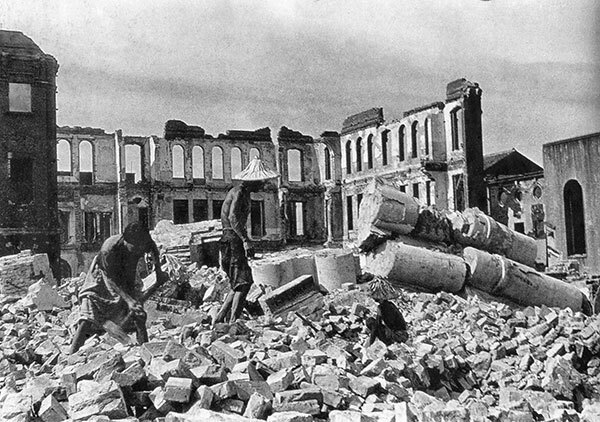 However, after the so-called “Retrocession,” what Formosa embraced was a governance much worse than that of the Japanese colonial regime, resulting in widespread disappointment and acute criticism of the new government. 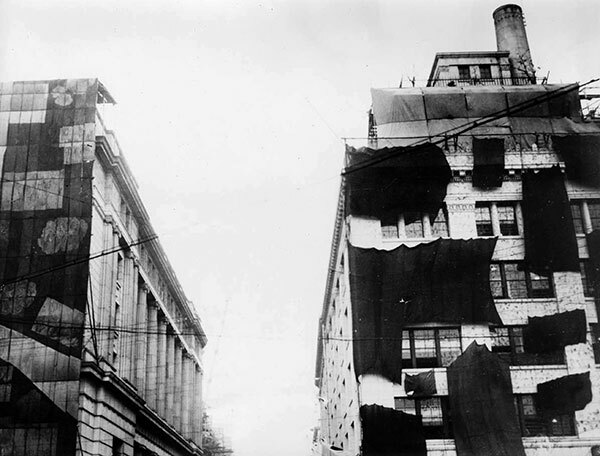 Moreover, inappropriate agricultural economic policies and the manipulation of currency exchange between the legal tender of the Republic of China and the Taiwan dollar gave rise to a food crisis and hyperinflation, which prompted the outbreak of the February 28 Incident in 1947. 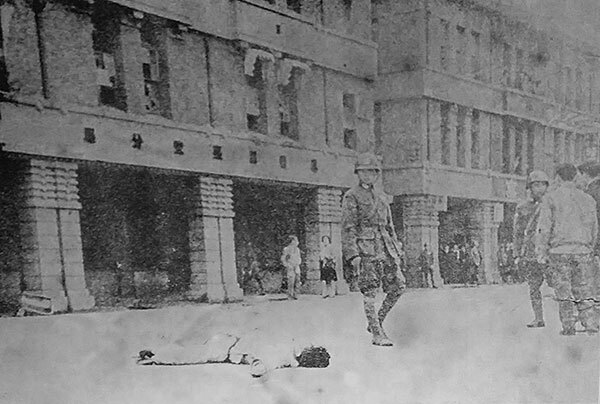 A staff member of the Monopoly Bureau lies on the street after being beaten up in the conflict that took place at the Taipei branch of the Monopoly Bureau on February 28. 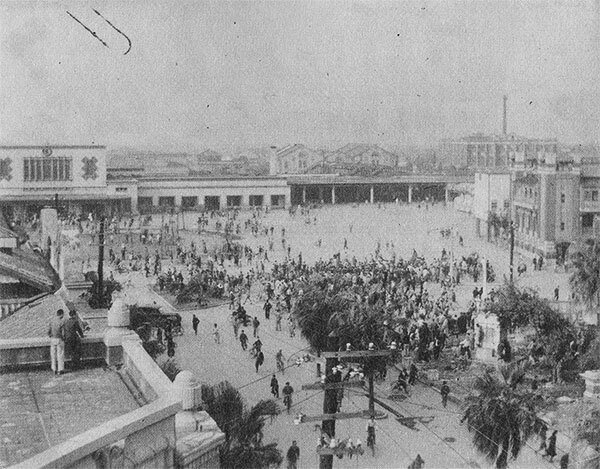 The day that the February 28 Incident broke out, social unrest was seen in front of the Taipei Railway Station. 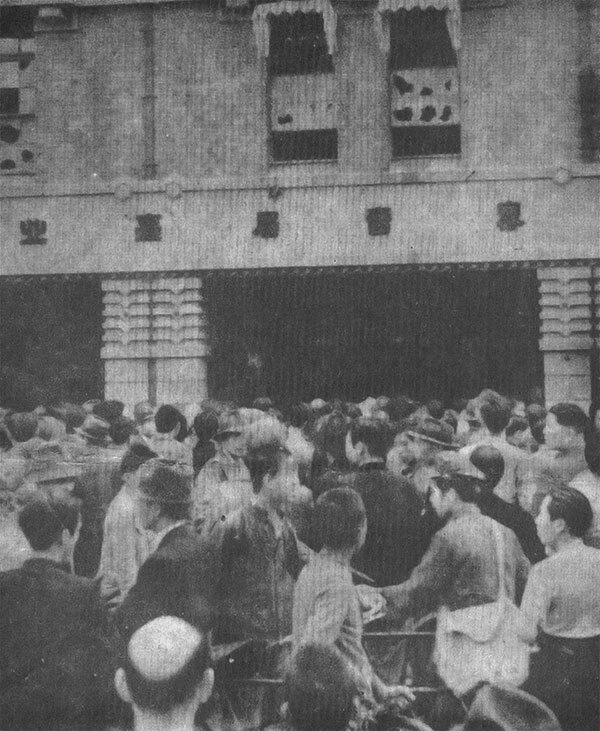 After the outbreak of the February 28 Incident, the Nationalist government carried out a military crackdown on Taiwan, creating severe conflict between the people of Taiwan and the Nationalist government. 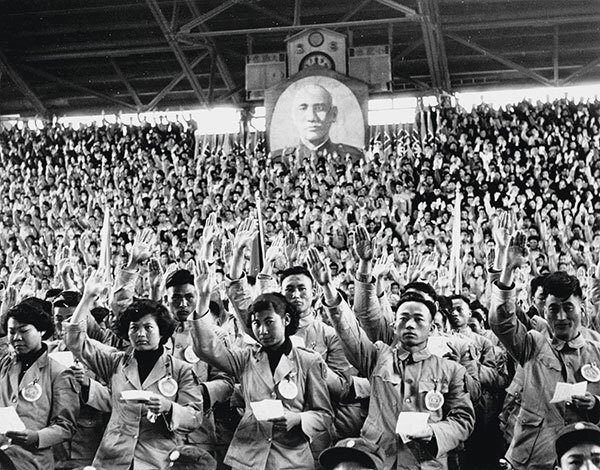 Soon after facing a series of failures in its effort to exterminate communists in China, the Nationalist government’s army ushered in a martial law period in Taiwan. 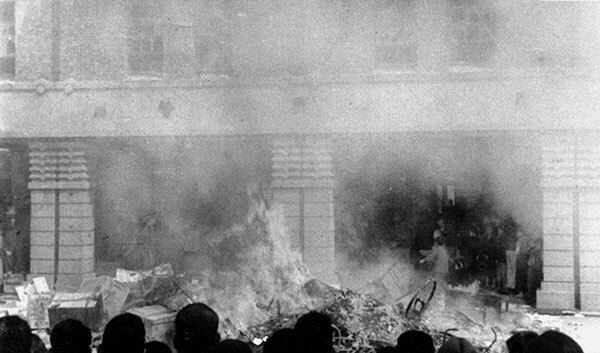 An atmosphere of apprehension and White Terror permeated the whole of Taiwanese society. 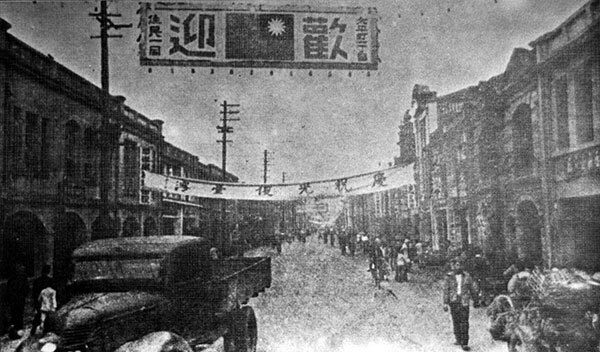 Although public order was gradually restored under the oppressive rule of the Kuomintang (Chinese Nationalist Party), propaganda slogans such as “bring down the communist rebels to rebuild the nation,” the “red flag with a navy-blue canton bearing a white sun,” and the personality cult of Chiang Kai-shek could be easily seen on the street at the time, bearing witness to the absurdity of the era. 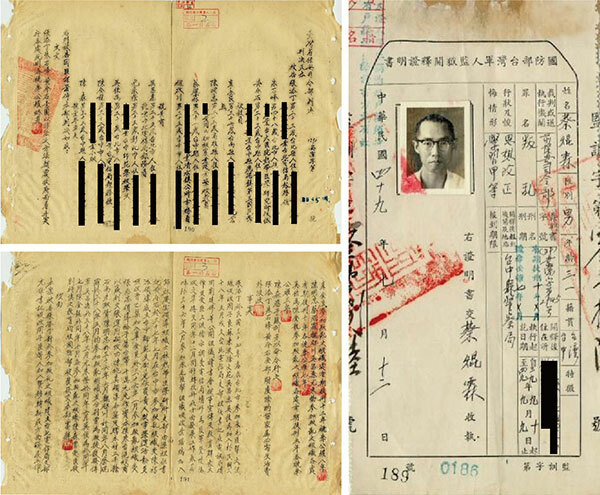 A verdict issued by the Taiwan Provincial Security Command (left) and a certificate of release issued by the Military Prison of Taiwan, Ministry of National Defense (right). 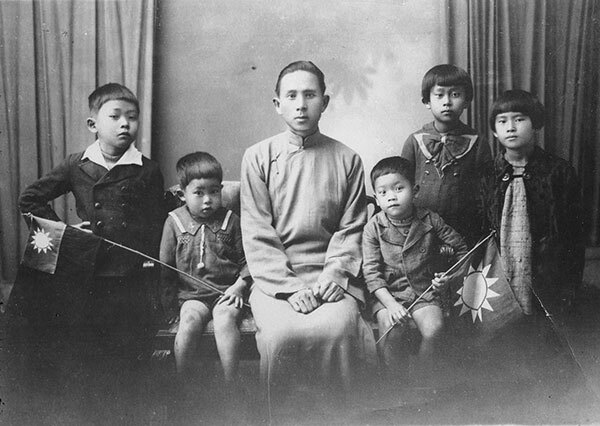 Tsai Kun-lin was born in Kiyomizu, Taichu (now Qingshui, Taichung). After graduating from high school, he started working as a clerk in the Qingshui Township Office. 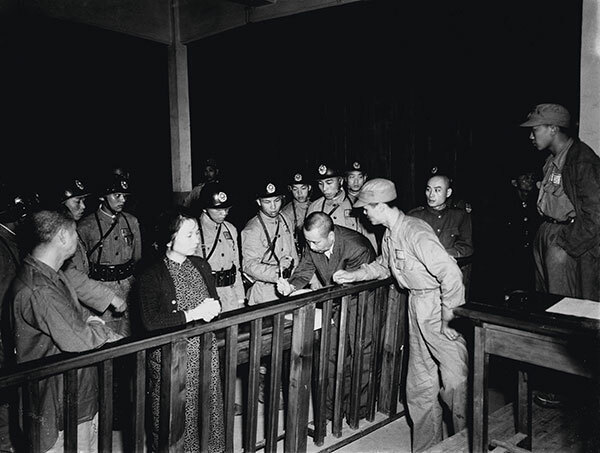 However, in 1950, he was accused of being involved with the Chinese Communist Party’s branch in the Taipei Telecommunications Office. 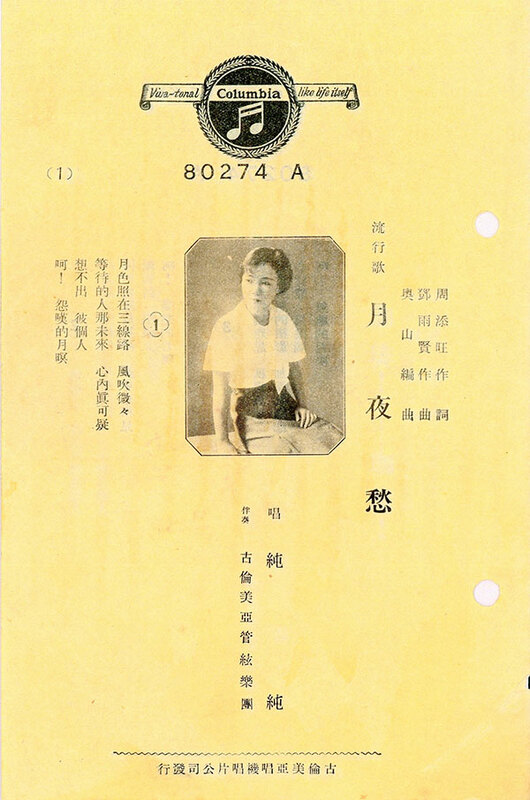 The Taiwan Provincial Security Command used Tsai Kun-lin’s participation in a book club at high school (in which he once distributed flyers on behalf of rebels) as the reason to incarcerate him for 10 years and deprive him of his political rights for seven years. 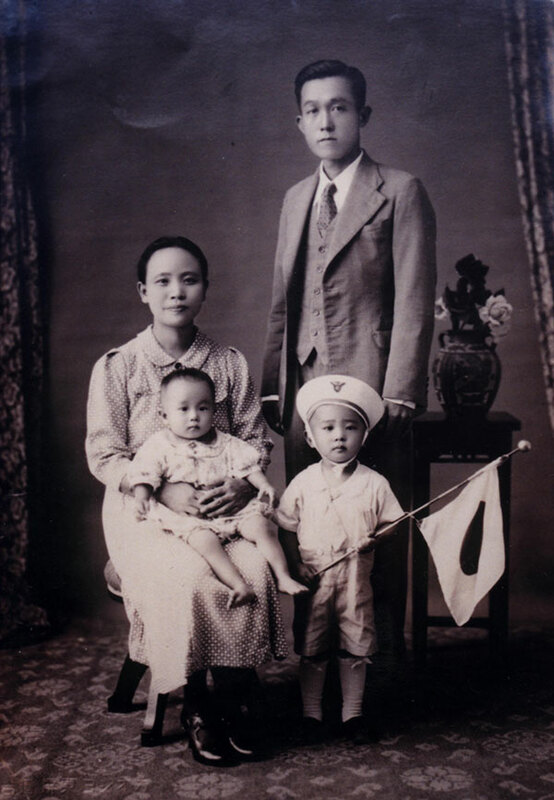 Tsai Kun-lin became one of the first political prisoners sent to Green Island. Not until 1960 did he regain his freedom. 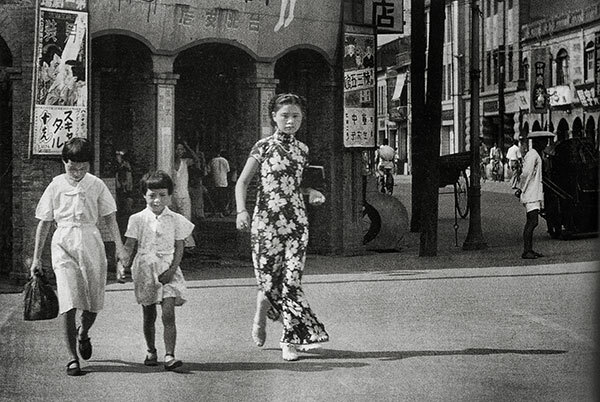 Although Southward Expansion to Taiwan and Today’s Taiwan are both propaganda films dedicated to publicizing the achievements of the colonizers, they present very different perspectives on Taiwan. In Southward Expansion to Taiwan, Taiwan is shown as a treasure island abundant with the fragrance of jasmine and a variety of resources. 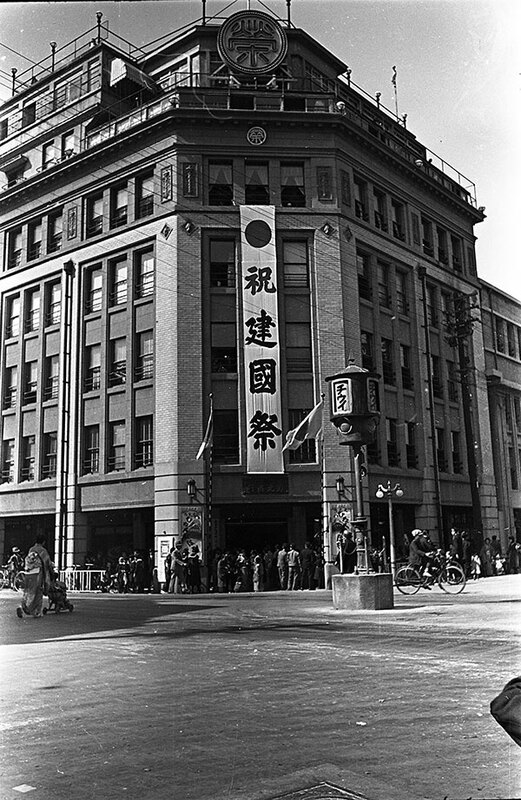 As far as Japan, a country that had depleted its natural resources, was concerned, only by effectively controlling Taiwan could the foundation for southward expansion be laid. Although the film’s introduction of the island’s bountiful resources might sound like an advertisement attracting investment from the Japanese mainland, the tone of the film is full of a sense of excitement and delight in exploring and discovering Taiwan. 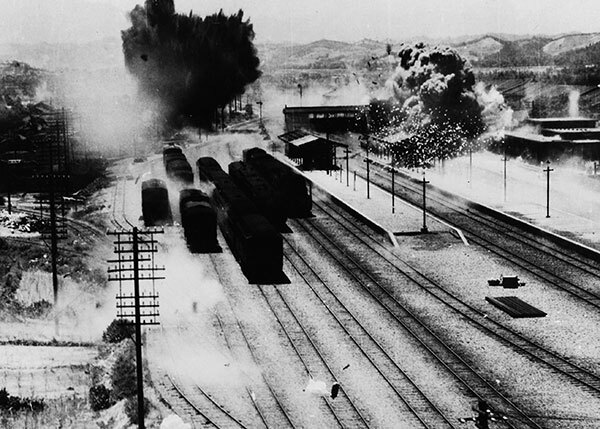 As the train travels around the island, the film demonstrates the achievements of the Japanese rule of Taiwan and brings the audience closer to the land. 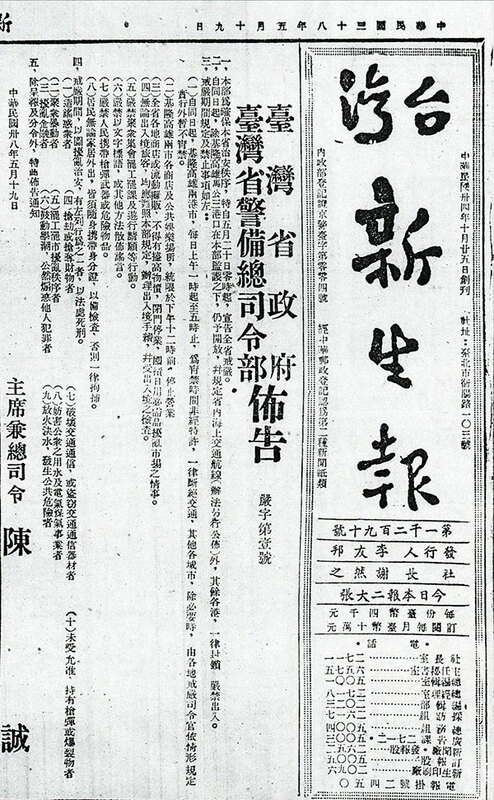 Taiwan as seen in Today’s Taiwan was an anti-communist base that had been under the strong influence of Chinese culture and Sun Yat-sen’s ideas. The political slogans that appear from time to time in the film seem to tell Taiwanese people that once they lose their great leader, Taiwan will have no one it can depend on. In introducing a variety of administrative achievements, instead of showing ordinary street views and pedestrians, the film features how government officials inspected the infrastructure construction in different places and demonstrates how people behaved in collective activities. 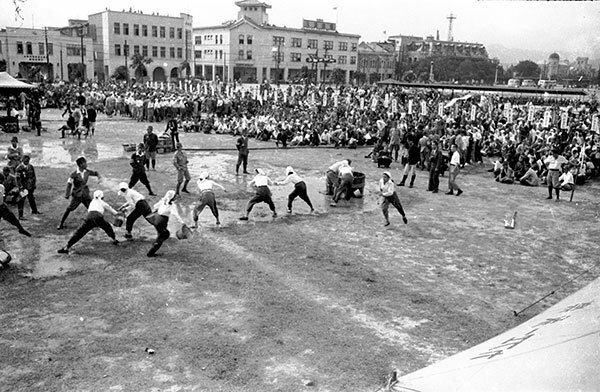 The students move their bodies in the same way on the sports field and leave school side by side in lines, and the soldiers stand still on the training field. People’s bodies seem to have been disciplined by the oppressive political atmosphere, which forced them to behave in an orderly fashion that seems suffocating. Different colonizers of different periods showed completely different versions of the same land of Taiwan. 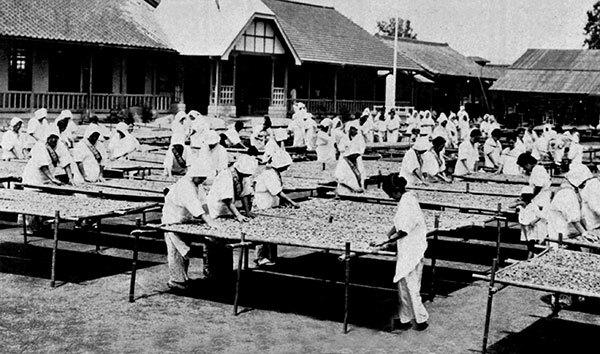 The film promotes the importance of "civilization" and the convenience brought about by industrialization. 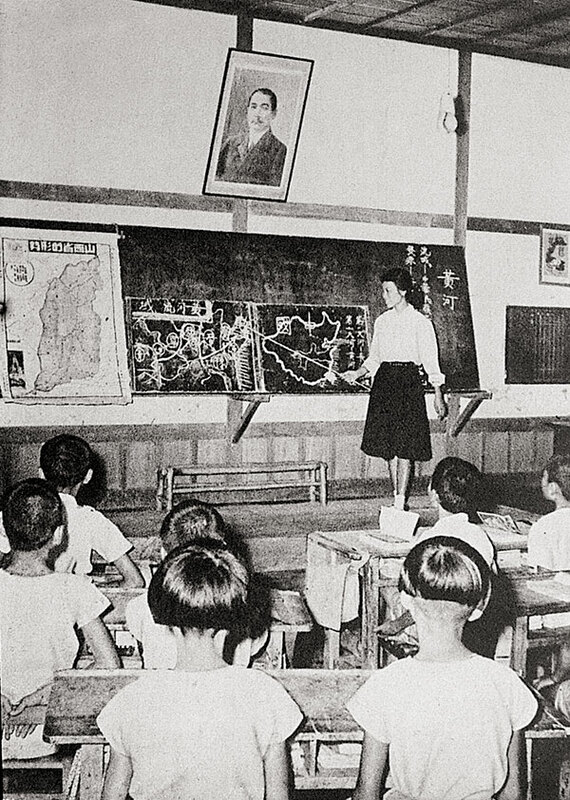 It also demonstrates how Japanese people implemented their colonial and educational policies in Taiwan. 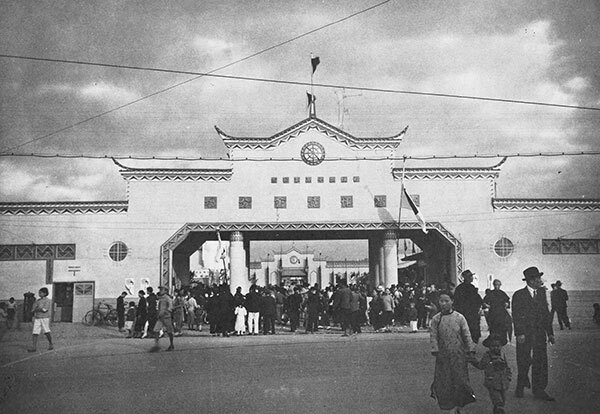 While displaying Taiwan as the base for Japan’s southward expansion policies, the filmmaker did not forget to celebrate the newly-established Manchukuo and the success of Japan’s northward expansion endeavor, making clear Japan’s attempt to establish a Greater East Asia Co-Prosperity Sphere. 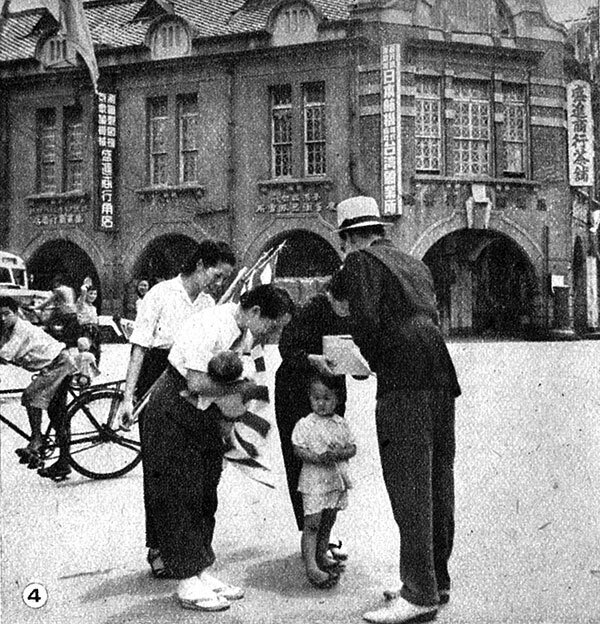 Southward Expansion to Taiwan, which deliberately chose positive, beautiful images and only highlighted how Taiwanese enjoyed the fruits of the modernization process, was a political tool for the colonial government to publicize its administrative achievements, so its portrayal of the island was not completely objective. 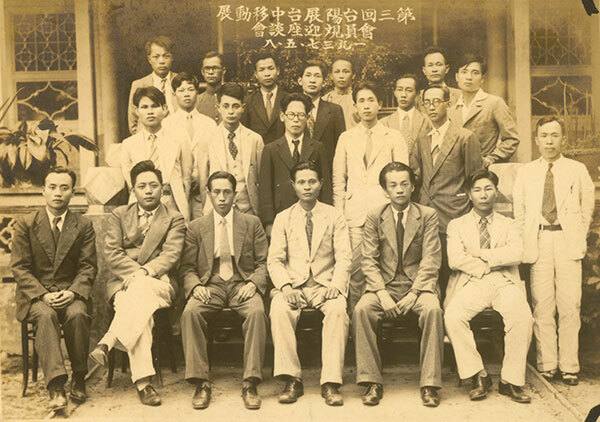 Nonetheless, even though it is a propaganda film, its detailed narration and real footage still makes it valuable as a form of visual history documenting Taiwanese society during the 1930s and 1940s. 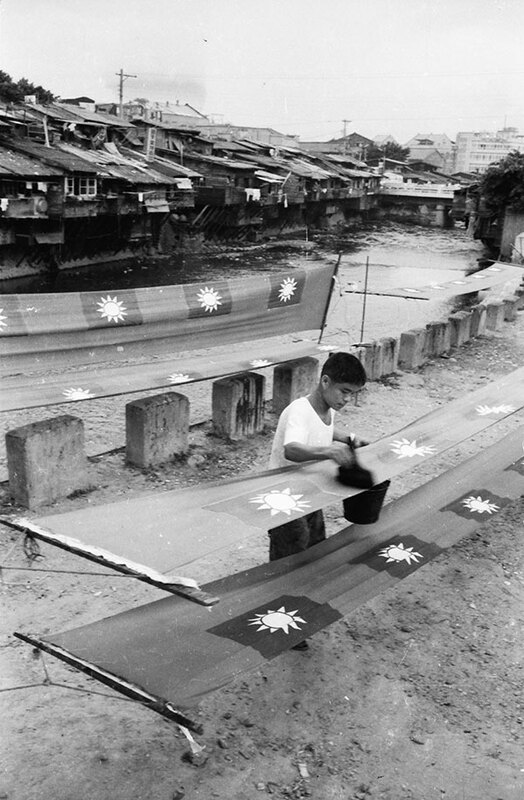 Today’s Taiwan was made in 1969 by Taiwan Film Culture Co., a company that created many important visual records of Taiwan from the 1950s to 1980s. 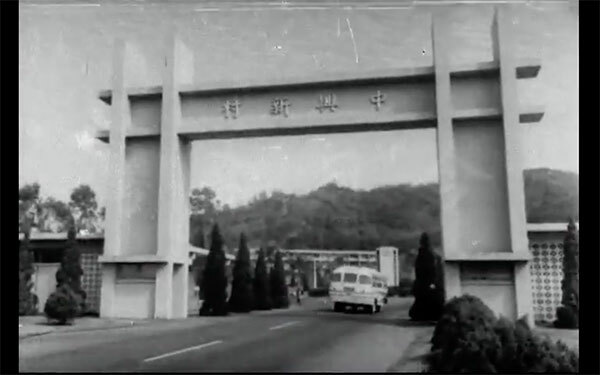 Taiwan Film Culture Co. mainly produced newsreels, documentary films and educational films for the Taiwan Provincial Government. 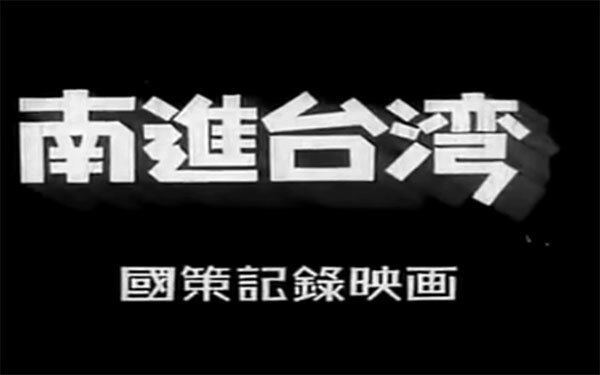 Before the popularization of television in the 1970s, the only news video footage available to the Taiwanese populace was solely made by Taiwan Film Culture Co. These films were screened before movies started in cinemas, playing a role in national policy promotion and political propaganda for the one-party state during the martial law period. 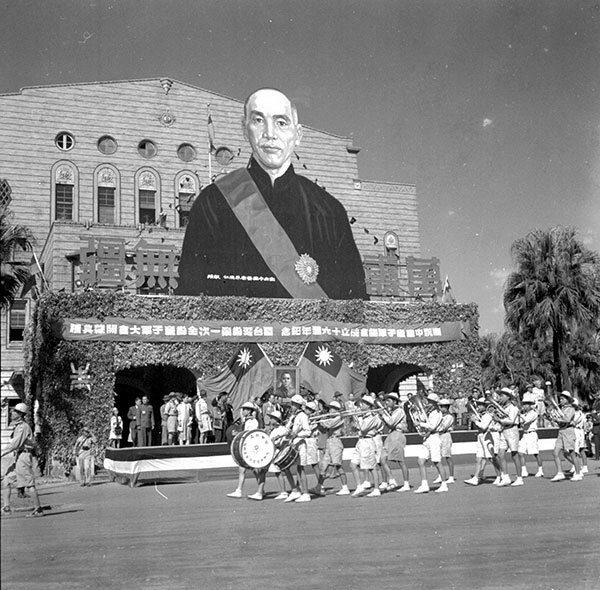 Today’s Taiwan introduces the education system, the Chinese Cultural Renaissance Movement, the construction of transportation and hydraulic facilities, the development of agriculture, fishery, and animal husbandry industries, and land exploitation, as well as constantly praises how, under the great leadership of Chiang Kai-shek, Taiwan had become the strongest anti-communist fortress in Asia and a model province of China that followed Sun Yat-sen’s ideas. 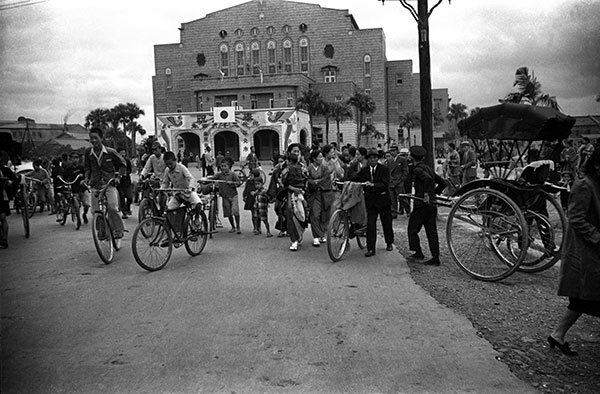 However, behind the impassioned music in the background, there was actually the suffocating atmosphere of the White Terror permeating this anti-communist fortress, which is what Taiwan was called by the Nationalist government. 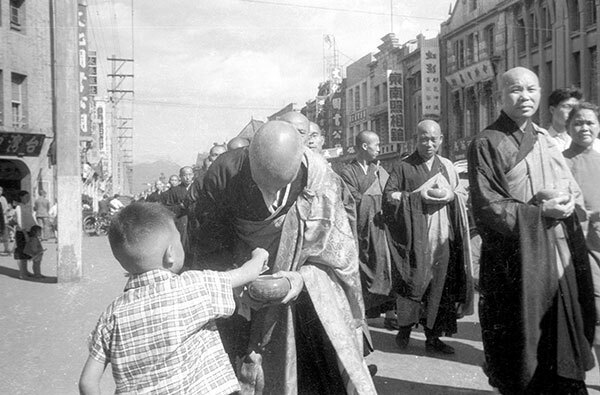 In 1960, Chiang Kai-shek unconstitutionally sought to run for the third term of his presidency. 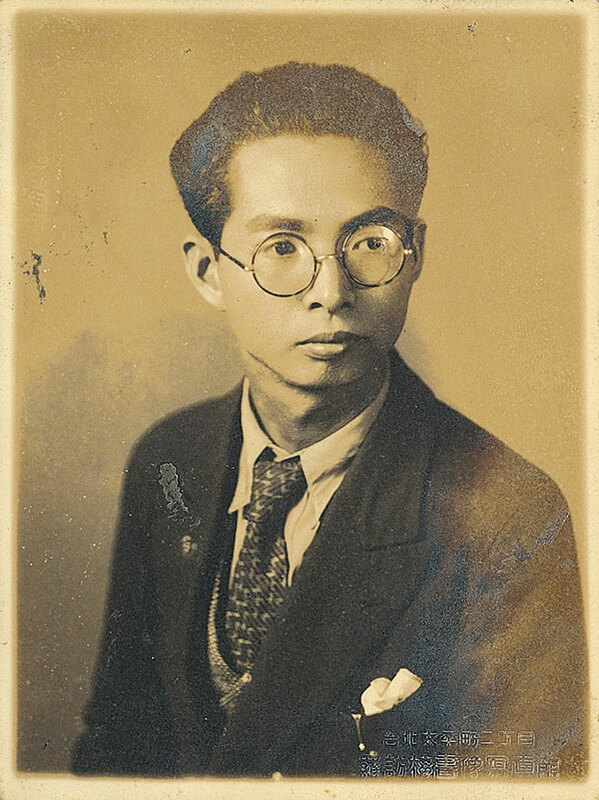 In the same year, Lei Chen, who had attempted to organize a new party, was arrested by the Taiwan Garrison Command under suspicion of rebellion and Lei Chen’s periodical Free China was suspended immediately afterwards. 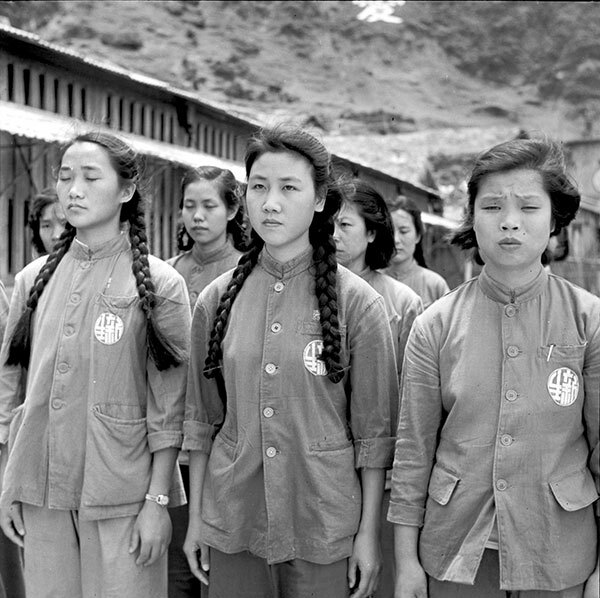 In 1964, Peng Ming-min, Wei Ting-chao, and Hsieh Tsung-min were put behind bars after they printed A Declaration of Formosan Self-salvation, before they could even hand out their declaration. 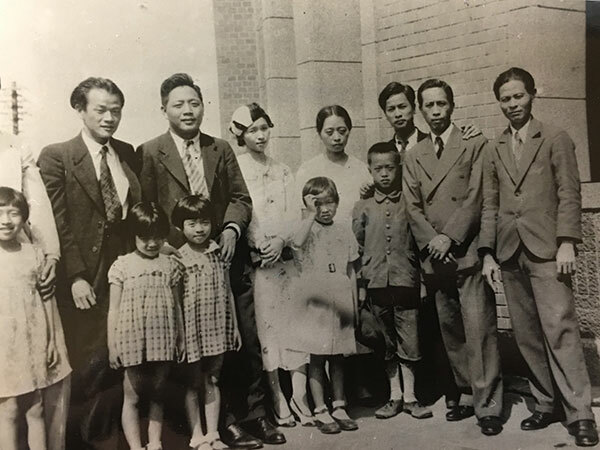 Under authoritarian rule, Taiwanese people were forced to keep quiet and asked by their government to become just like the “real Chinese” shown in Today’s Taiwan. In reality, the societal environment of the time differed greatly to the seemingly prosperous scenes in the film. This was a time replete with dismay and depression.